George Brown, a retired major of the United States Marine Corps has decided to help tackle one of the major issues that plague the veteran community: homelessness. 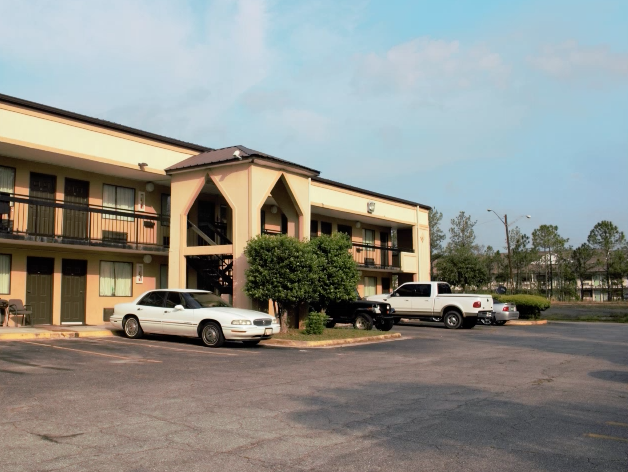 Off Eisenhower Pkwy in Macon, Ga is an old hotel that has been renovated to transient housing for homeless veterans. The initiative known as “Homeport” opened in 2016 and has been expanding ever since. “This project started about a year ago, when a friend of mine was one of the 22 veterans that kill themselves everyday, that commit suicide. Upon doing some research I stumbled upon some of the multilevel problems that veterans are facing today,” Brown said. In an effort to help veterans from feeling alone or as if they have no place to go, Homeport provides transient housing for homeless veterans and their families. “Part of the problems is the physical structure of no place to live and the other is the psychological and emotional problems they face on a day to day basis,” Brown explains. Homeport provides housing and meals to families who would otherwise be without shelter. The facility currently has 30 units in Phase One that are completed and occupied by veterans. They are working on completing the next phases of construction. The next step for the facility is to complete Phase Four which will be a counseling area for the Veterans in the program. Phases Two and Three will add on additional rooms as well as a religious life center and a recreational area. Randy Bryant, a veteran who is currently living at Homeport, is grateful for the program. “I recently came back to the states from Europe, and moved in in late March and it has been quite impressive. Before this I was living with my niece who has four kids all under the age of eight,” Bryant said. Homeport has become somewhat of a safe haven for many veterans who didn’t know where they would be sleeping or where their next meal would be coming from, Brown explained. Site Manager Matt McAffey sees the positive impact that Homeport has on people’s lives. As of now, Homeport is working on fundraising and reaching their monetary goal of $809,000 to complete the construction of the facility. “We are trying to help alleviate the homeless veteran problem,” Brown said.